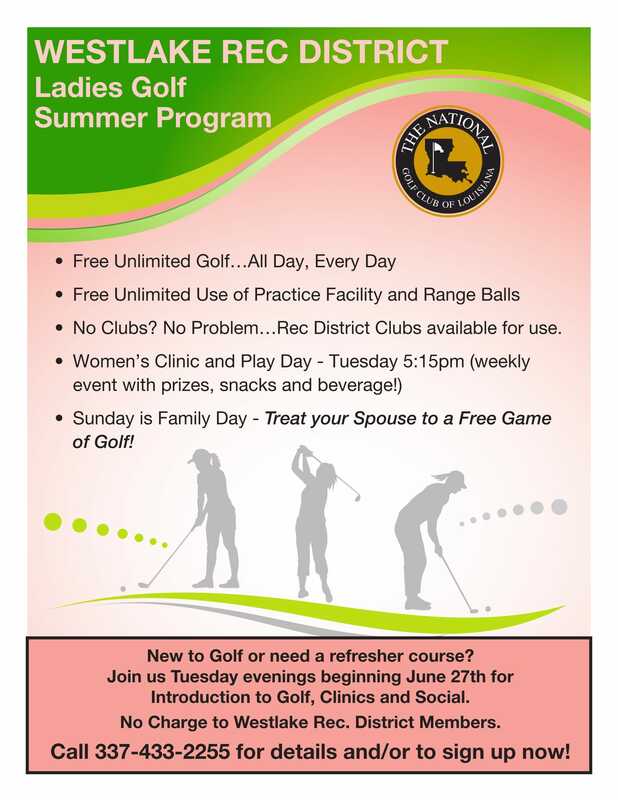 The Program is designed to provide residents with a full range of golf instruction and playing activities at the National Golf Club of Louisiana for Junior Golfers, Women Golfers and Men Golfers of the District. We encourage you to participate as much as you would like in as many of the programs offered. 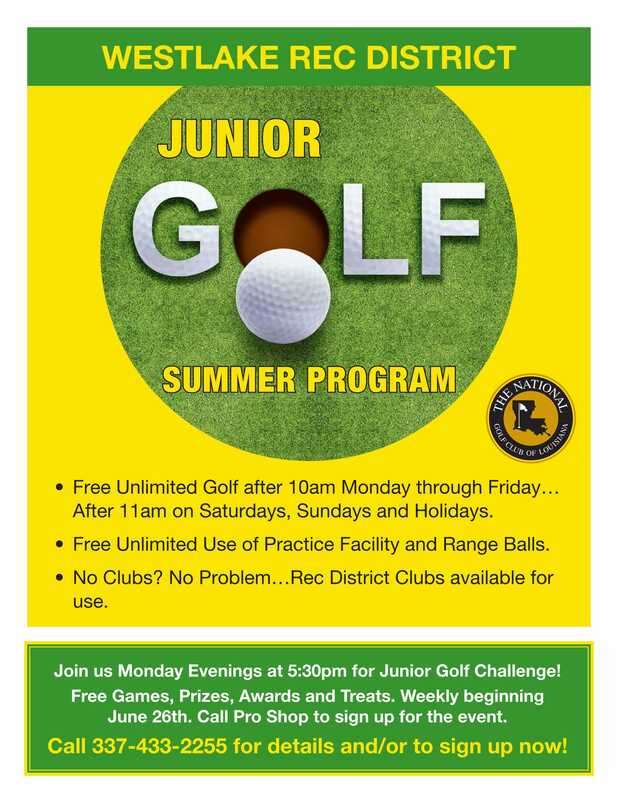 If you haven’t golfed before, what better time to learn? The National has some of the best instructors in the state – and we specialize in making golf fun for all participants. So, choose those events that interest you and make plans to attend. If you are new to the game, we offer introductory classes and clinics that will familiarize you with the game. It is a great game, and one you can enjoy for a lifetime. The National’s team is happy to introduce new players to the game of golf. PLAY FREE ON SUNDAYS AFTER 12.